The March 2nd event takes place in Gomi’s backyard at Saitama Super Arena in Saitama, Japan. “The news is out SO HERE HAS IT I WILL BE FIGHTING GOMI IN JAPAN…. this is a dream of mine coming up during the pride days #dominate #yes,” Sanchez tweeted. After losing to then-lightweight champ BJ Penn in December 2009, Sanchez bounced to the welterweight class. “The Dream” won half of his four scraps in the 170-pound division. The 30-year-old most recently dropped a unanimous decision to Jake Ellenberger this past February. 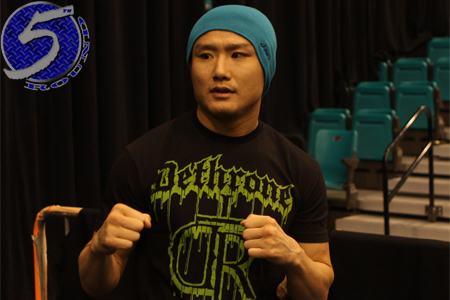 Since some early struggles inside the Octagon, Gomi has finally found his way back on the winning track. “The Fireball Kid” just hung a split decision victory over Mac Danzig last month in China.